StimulatorXtreme Boost Consists of 23 different Amino Acids, natural flowering hormones and vitamins, organic macro and micro nutrients from seaweed kelp and vegetable matter. This was specifically designed for the flowering and ripening of your plants. Xtreme Boost enhances metabolic grow, stimulates bud development, promotes enzyme production, improves resistance to disease, encourages fruit swelling and increases essential oil production. 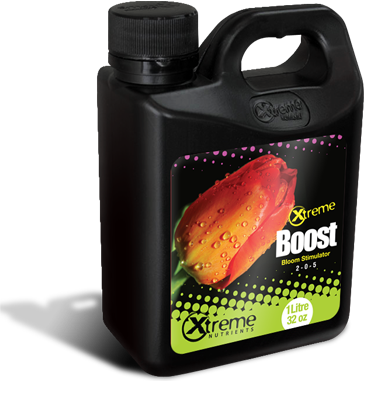 Xtreme Boost should be used in the 3rd week of bloom until harvest at a rate of 4ml/Gallon.